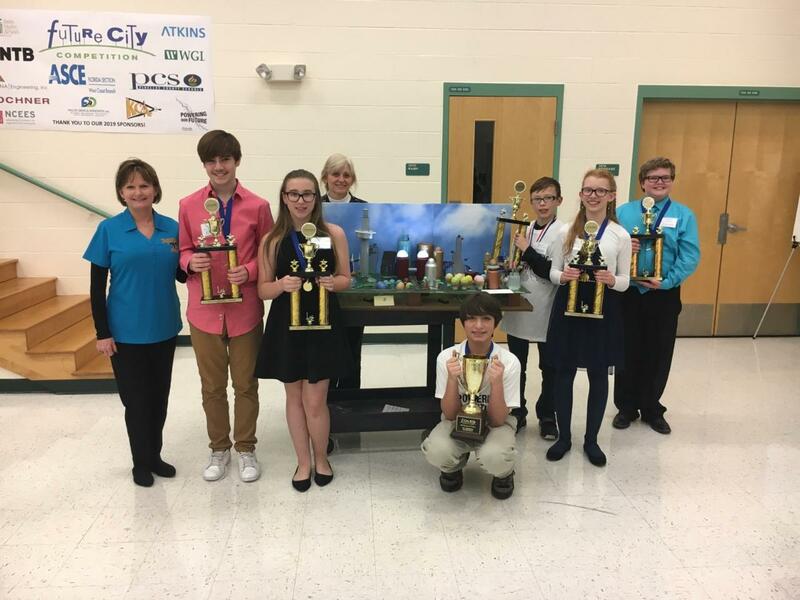 January 19, 2019 – The students at Pinellas Academy of Math and Science (PAMS) WON 1st PLACE IN THE REGION at the Future City Competition that took place at Thurgood Marshall School on Saturday, January 19th. The team’s next stop: Washington D.C for the National Future City Competition. Future City is a project-based learning program where 6th, 7th, and 8th grade students imagine, research, design, and build cities of the future. Team presenters, Anderson Kimbrell, Patricia Crews, and Tyler Nations, all sixth grade students, did an amazing job competing against 7th and 8th grade students in the region. PAMS Gifted teacher Roni Milligan and Gina Frontiero, an Engineer Mentor from CDM Smith, Tampa, were instrumental in helping the students prep for the competition, and getting them ready to bring home the top prize. Located in Clearwater, Pinellas Academy of Math and Science is an elementary and middle charter school that offers students a challenging program focused on mathematics and science.